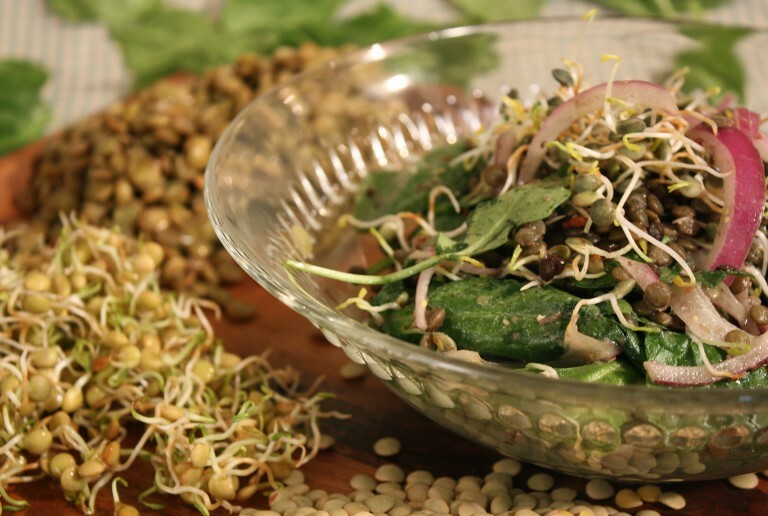 Cooked lentils are a nutritional powerhouse but raw sprouts are even healthier for you. 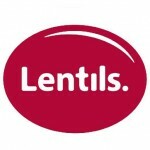 Every lentil is a seed, a plant just waiting to sprout. Once that growth begins all the nutrients the plant needs to flourish are concentrated in the tiny sprouts. This delicious treat is so easy, fun and rewarding that if you try it once you’ll be hooked like a kid with a blue ribbon science experiment! 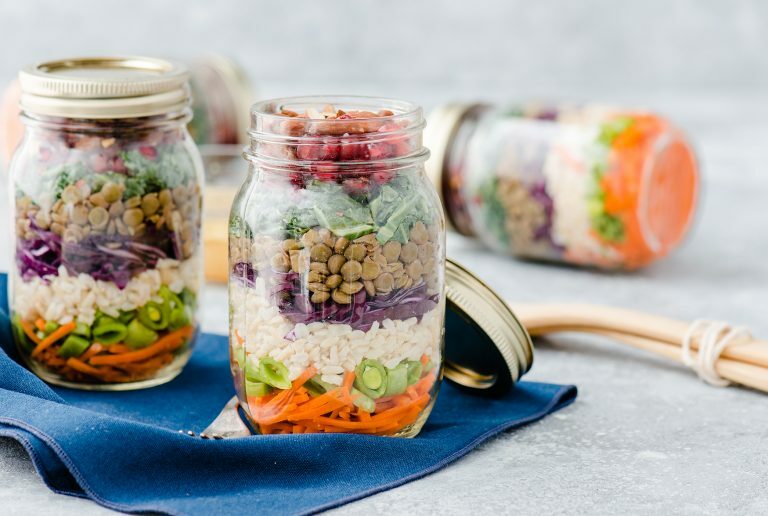 Place the lentils in the mason jar. Cover the jars mouth with the screen then screw on the ring leaving the lid off and anchoring the mesh. Place the jar under a stream of cool running water and rinse for a minute or two. Fill the jar with water and rest overnight as the dried seeds absorb water and rehydrate. In the morning drain the jar thoroughly and rinse the lentils with lots of water once again, but this time drain the works thoroughly and rest the mason jar on its side. You may not see it yet, but the lentils are starting to grow! Twice a day rinse and drain the lentils, taking care not to leave them sitting in water. After just a day or so they will start to sprout! The whole process works best if the sprouts are not in direct sunlight, which tends to dry them out too much. Continue rinsing and draining the lentils twice a day until the sprouts are about ½ inch long with small green leaves forming on the ends, about three to four days. 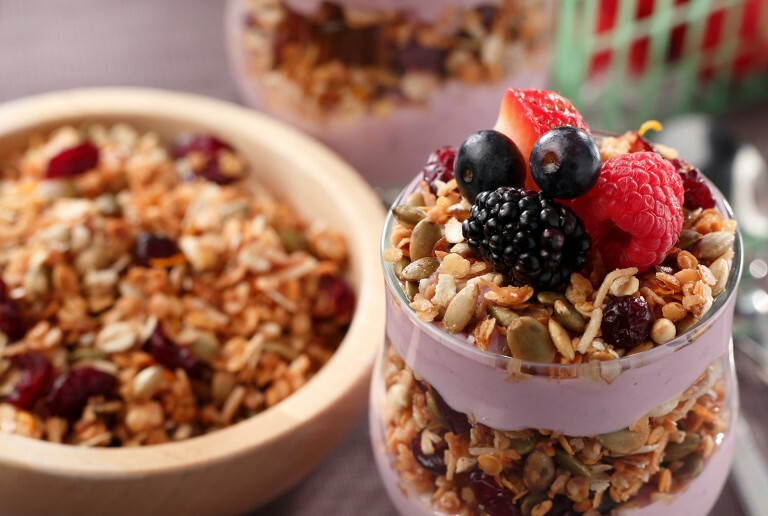 When the sprouts are beautiful, remove the screen and replace the lid on the jar and store them in the fridge. They will keep for about a week, but that is no guarantee they will last that long!